2nd time on juice took sus/deca/hcg put the gains on i wanted then losted them all with in 5 weeks after stopping. Last edited by shadow123; 03-24-2002 at 04:48 PM. come on guys want your advice. No worries about your english bro - I understood it fine. Your doses seem kind of low. Personally I would kep it at the doses you proposed for frontloading - but if you have your own reasons for keeping your test at 250 then go for it. Though I would suggest this - if you want a LOW dose of test - dont use sust. 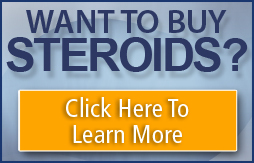 - use enanthate or cypionate or even prop. Haven't you asked this question before? It seems like you've asked the same question many times before. I know many bros answered you on this. I know I did. You lose more gains with other testosterone then you will with sus? Bro if you want to use those two that's fine. Please don't disregard my advice based on that suggestion - trust me, I know a little bit about steroids . i am going to do that then add a little bit more sus, with the deca and clomid. can anybody else find a better cycle for keeping gains.